European Flight Connections. Global Communications - Destinations all over the World. Global Communications through the Network of Connections over Europe. Airport International Connectivity. 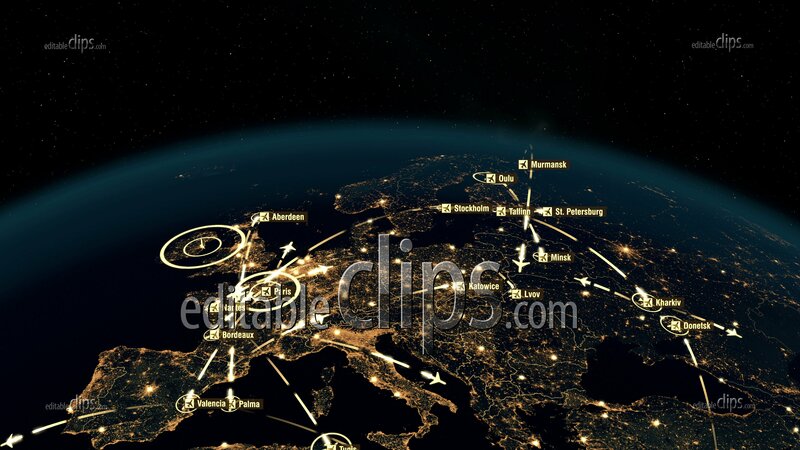 World Airplane Flight Travel Plans Connections. 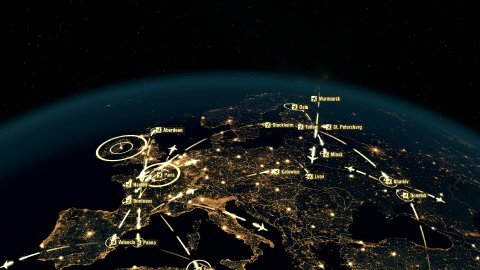 Global Flight Connections. Airports Departures and Arrivals. Transportation Clusters. Flight Paths Over Europe. The High-Resolution Texture of City Lights. City Names. 4k.